This guest post was written by Alex Ahlund, founder of AppVee. We are just past of a year since the App Store launched and there are more than 60,000 applications released for the iPhone and iPod Touch. 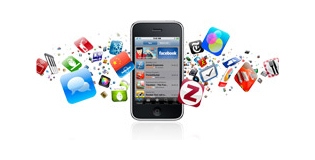 When we wrote our 2008 year-end app wrap-up, we had just surpassed the 10,000 app milestone. In early June 2009, the store reached 50,000 apps. At present, we are looking at a staggering 300 new applications being released every single day. How does the average iPhone user find the gems in this deluge? Unfortunately, the process is entirely overwhelming for the average iPhone user. The bulk of consumers use iTunes’ Top and front page listings. Since placement on the top lists is derived entirely from unit sales, there is a disturbing skew towards the $.99 applications. This not only discourages big developers from putting high budgets and serious resources towards development of really useful applications and games, but also does a disservice to us, as iPhone users. If all we see are ninety-nine cent gimmicks and toys, how will we realize the true potential of our device? Apple attempts to offset this with editor’s picks, but this simply isn’t enough to make sense of the App Store. There are new third party services and tools coming onto the scene to help show how to best navigate the App Store. AppVee has been doing in-depth reviews of applications since the launch of the App Store and will soon celebrate our one-year anniversary with nearly 1,000 video reviews of the top applications. We’re often asked if we are overwhelmed with the number of applications currently released and the number we are capable of covering. The answer is no. 90% of apps currently out there are of no use to anyone. There are a massive number of clones, one-off gimmicks, volumes of books and reference material, and a never-ending supply of uninteresting games. So, we try to act as a filter for consumers, directing them to what is worth their time and money. We prefer Cell Minute Tracker to AT&T’s minute tracker any day. Much simpler, easy to navigate and much faster. Skeptical at first, but found eBook reader surprisingly easy on the eyes and good for taking in a quick chapter. Offers plenty of free content, but won’t be replacing your physical Kindle. We mentioned this on last year’s roundup, but it deems reiteration. So far, the best multi-IM service client on the iPhone, now with Push Notification. AIM, MSN, Yahoo, ICQ, and more. A smaller version of Assassin’s Creed on your iPhone and iPod Touch. Plays rather smoothly and provides solid entertainment. Dominated the Top 25 list for quite a while. Accelerometer based movement—you guide your Doodle to bounce off platforms, jumping to the highest point possible as you avoid getting hit. Cover your mouth with your device and show off an assortment of crazy mouths that animate to the input sound of your voice. I’ve annoyed dining mates with this one more than once.